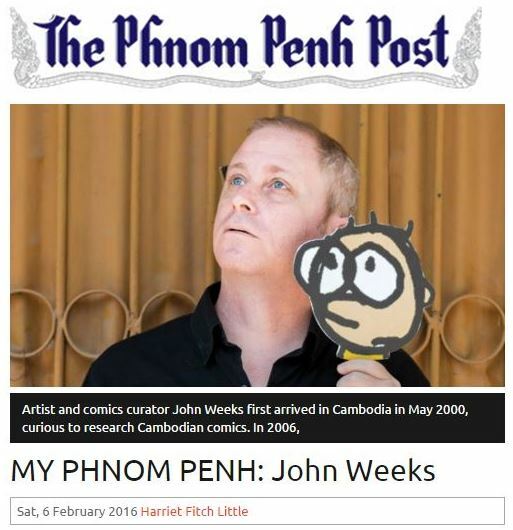 Artist and comics curator John Weeks first arrived in Cambodia in May 2000, curious to research Cambodian comics. 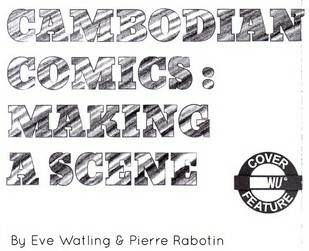 In 2006, he co-founded the local NGO Our Books, which helps source and promote Khmer comic art. He also publishes a daily web comic at QuickDrawComics.net. This week John spoke to Harriet Fitch Little about some of the best artists working in his field. 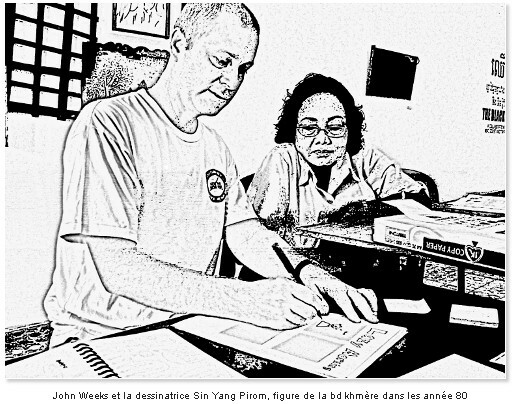 Thanks also to Will Jackson for a writeup in the Phnom Penh Post. I was just a little apprehensive to see if people would ‘get’ cartoons in a gallery context, but was gratified to see the crowd that showed up. It was also a mini-reunion of sorts as friends and students from the Center For Khmer Studies showed up – Undergrad Students, Fellowship Recipients, postgrads as well. Auspicious timing, as many of these folks are only here for a short study stint. And there are more comics to come at www.QuickDraw.me. Sketch notes: a great way to document an event, and then later translate to provide ‘gist’ for those who may be on the other side of the planet. ‘Open Data Day’ (Feb 21), held at Development Innovations. Thanks to OpenDevCam & OKFN for setting up the event! Art courtesy Moeu ‘Vuth’ Diyadaravuth. And I’m in BuzzFeed this week. I can’t say this is exactly news. It’s interesting how Buzzfeed is *perceived* as news, though. 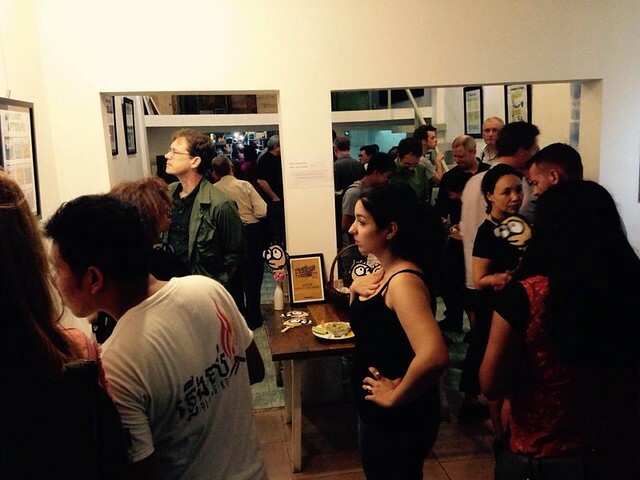 … Also supporting the scene is the NGO Our Books, which publishes, archives, exhibits comic artists, and runs workshops and events, including a 24 hour comic drawing marathon. Yet founder John Weeks also tells us that financial constraints are a huge block to momentum and spontaneity. 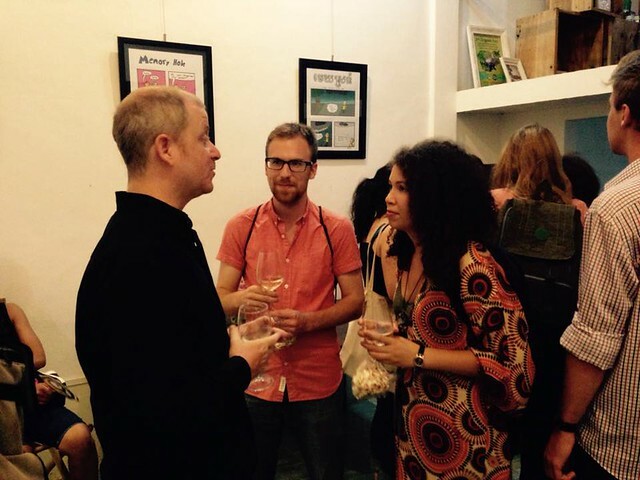 “Many artists … don’t see the long-term benefits of exposure”. Consequently, most artists from the comic boom in the 1980’s no longer draw, and instead work jobs that guarantee a more secure income. This lack of confidence in the industry means that production of new comics is inconsistent. “We try our hardest to encourage artists, but you can’t force a scene to develop if it’s not ready”, says Weeks. 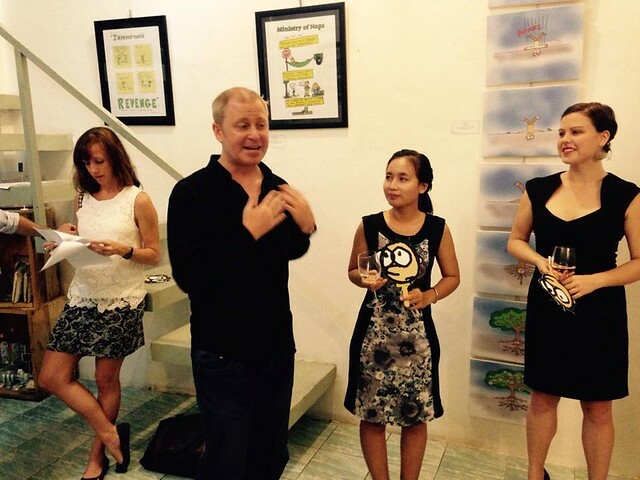 French-Cambodian artist Patrick Samnang Mey agrees : “the scene hasn’t found its identity yet”. Every morning, customers flock to Phnom Penh’s Rik Reay Restaurant on Street 178 to order the eatery’s specialty, rice noodles, for breakfast. But what food-for-thought they’ll discover after choosing their seat is entirely up to fate. On the wall next to each table is a different comic, placed there by Phnom Penh based NGO Our Books. 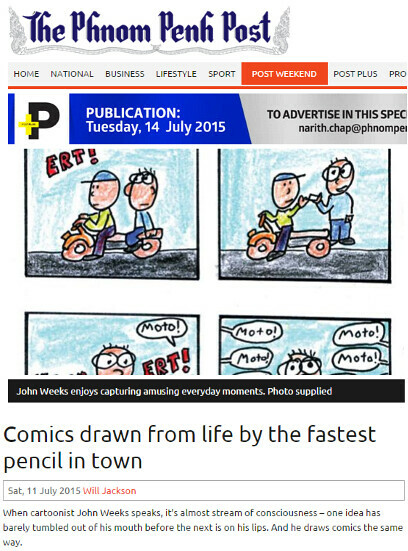 Earlier this year, Leap Sothy, whose family has owned the noodle shop for more than a decade, was approached by Our Books’ managing editor and artist John Weeks, one of the café’s regular customers…. While spending time at Rik Reay, Mr. 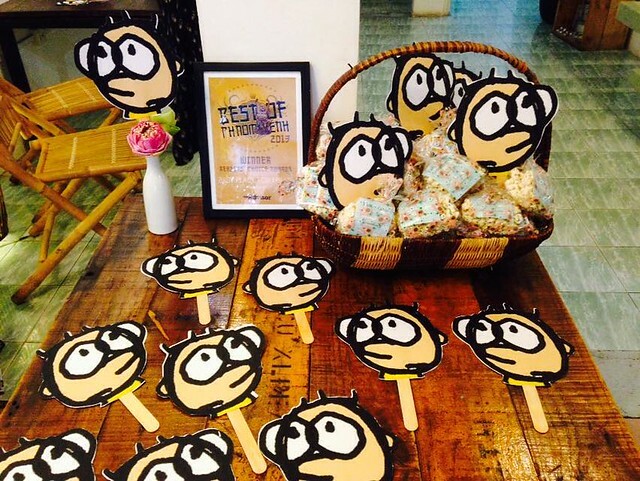 Weeks had noticed the range of personalities frequenting the street’s many canvas-filled art shops and filtering in and out of the noodle restaurant. 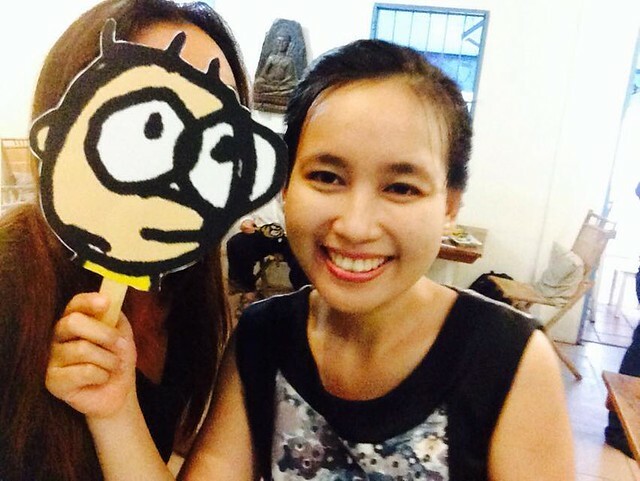 You can see the talk’s images via ‘Slideshare’ (English or Khmer), and the talk via YouTube. More details at Our Books Cambodia. Cited: Global Voices. While most of the Internet users in Cambodia are on networking site Facebook, “Twitter is growing in leaps and bounds,” said a founder of TweetCambodia, which aggregates tweets with hashtag #cambodia. 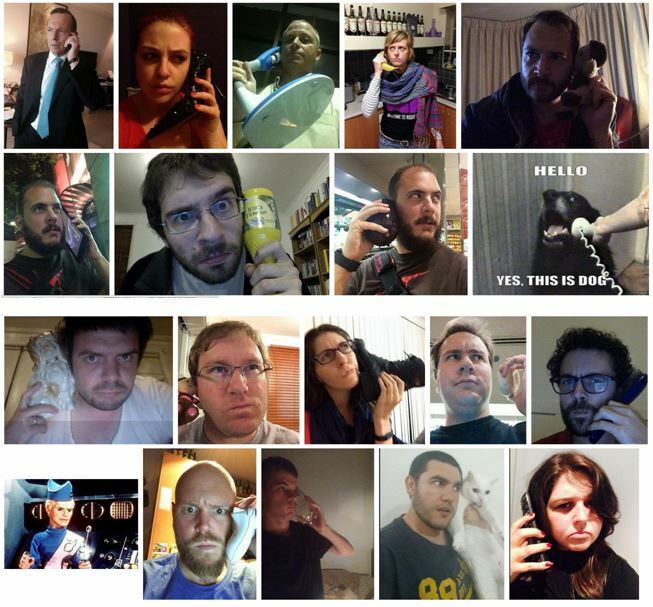 “Cambodia has a very phone-centric culture and that’s suited well to Twitter use. We are seeing a lot more sophistication in the use of it, including the use of Khmer Unicode which is particularly interesting,” John Weeks added.